Not surprisingly, Jack White’s Record Store Day activities go beyond his role asambassador. The White Stripes’ seminal album Elephant celebrates its 10th anniversary on April 1st (! ), and White’s Third Man Records will commemorate the occasion with a special reissue of the album for Record Store Day on April 20th. Pulled from the original analog source, the re-mastered album comes pressed on two different colored vinyls: LP1 is on split-color black and red vinyl, and LP2 is on white vinyl, all housed in a double pocket gatefold, tip on sleeve. A standard black vinyl reissue will be released later this year. 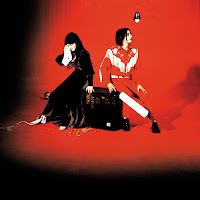 In anticipation of its release, Third Man Records’ website is streaming a brief video showing the reissue’s artwork being printed in a factory. Below, you can stream the album in full via Rdio.